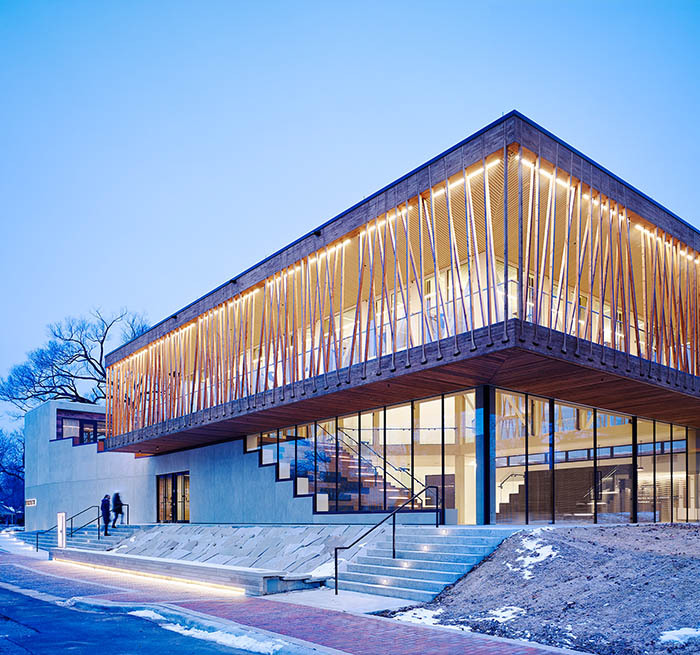 In 2009, Auerbach Pollock Friedlander began working on program development for new performance spaces to accommodate Writers Theatre’s ever-expanding audience base, while providing more state-of-the-art amenities for both the audience and the creative staff. The firm subsequently participated in the architect selection process which led to collaboration with Studio Gang Architects; design work began in August 2011. The project includes an intimate 250-seat Theatre and rehearsal space and a 50- to 99-seat flexible theatre space, situated in a “Theatre in a Park” atmosphere with a spacious main lobby that can be utilized for additional artistic, educational, and family programs. 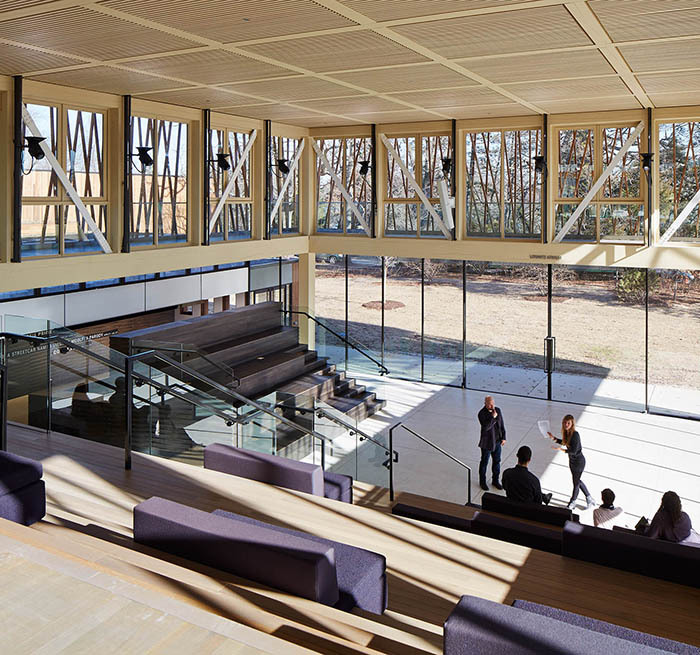 The focus of the project was on the design of a cohesive facility that integrates the two performance spaces, patron and artist amenities, and rehearsal and production spaces. 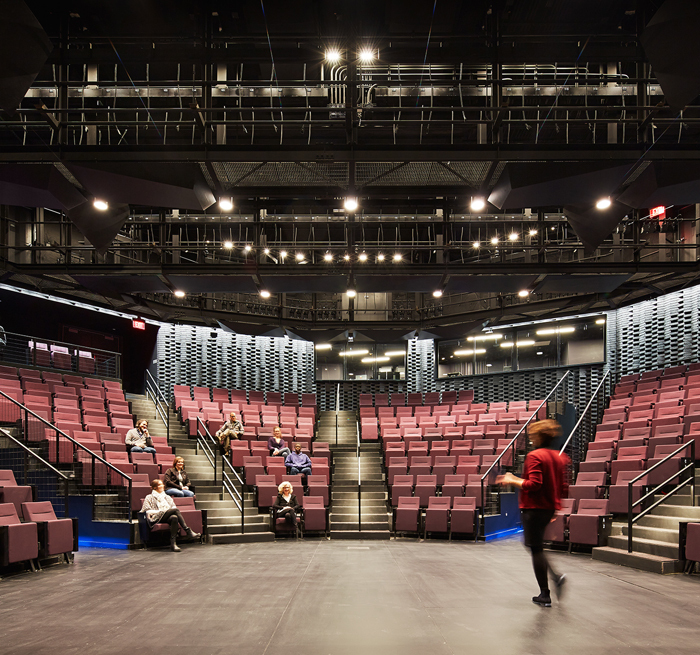 By employing innovative staging and seating configurations throughout, the center maintains the intimacy for which the Writers Theatre is known. 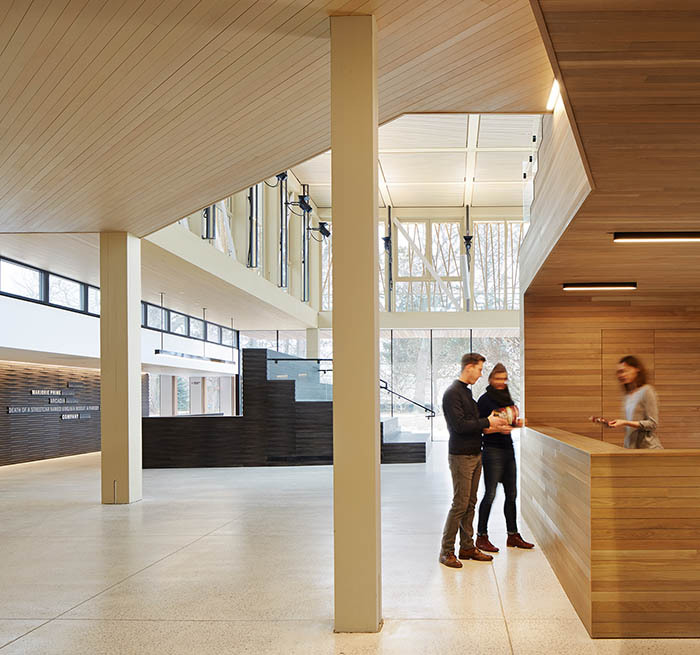 Driving this project was a clear artistic mission to create an intimate space that reflects the character of the town of Glencoe in which it is built, while evoking the spirit of England’s greatest theatres; this, while having a focus on sustainable design. To this end, the project was designed to LEED Gold standards, which includes re-use of materials reclaimed from the site’s previous structure.